The contents of this book had me in a whirlwind of captivation, despite the disturbing truth that comes with the Roanoke legacy. The one thing I loved most about The Roanoke Girls is that it pointed on something that is very real for some people and families and the lesson at the end doesn't sugar coat it. The author clearly did enough research to ensure that anyone reading this that might be able to relate won't feel like their experience was represented badly. I personally don't know what it is like since I've never gone through what the Roanoke girls did, but I can imagine that it would be almost exactly how it was portrayed in the book. Amy Engel stated that she had researched this horrible reality thoroughly to ensure her accurate portrayal of the events within her novel. I'm glad that authors like her have taken precaution and proceeded with absolute care when trying to present a novel that is not only fascinating, alluring, and filled with dark themes, but is also somewhat of a realistic setting which most people have sadly had to deal with in their own lives. Lane Roanoke was the sole focus of this novel, the story being told mainly through her eyes - though many of the multiple POV's were from the other dead Roanoke girls, such as Lane's mother, Camilla, Camilla's sisters and her aunties before her. All in all, Amy Engel did the most amazing job at time-lapsing between when Lane went to live with her cousin, Allegra, after her mother died when she was sixteen, and when she came back after Allegra went missing eleven years later. Never once did I get confused as to who I was reading about or what was happening and I definitely enjoyed how the story played out even though there were some tear-jerking scenes that broke my heart. 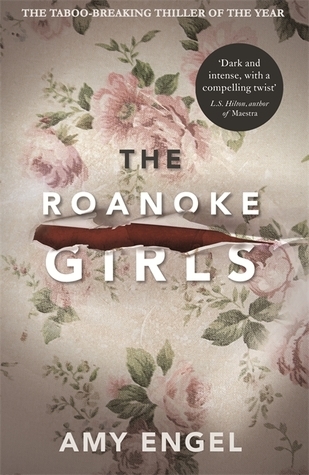 The dark scenes that plague this novel are intriguing but gruesome, much of it showing how the reality of the Roanoke's past have emotionally destroyed all of the girls. Lane and Allegra are now the remaining heirs of their grandfather and grandmother who have acted as guardians of Allegra after her mother ran away. The girls are known for their similarities in beauty but not in personality, however they both seem to grow closer thanks to the outcry of Allegra's need for attention and a sister who will have her back when there is no one else there for her. As Lane begins to realise the disturbing truth that hides behind the closed doors of the Roanoke mansion, her escape from the madness of her mother's deep depression seems to become more and more of a prison than a safe haven. When she returns to Osage Flats eleven years later, still harbouring the knowledge that she learnt all those years ago, things are strained with her family and the close bonds she developed with Allegra's friends, Tommy and Cooper. With the help of her first love, Cooper, she manages to find the safe haven she longed for and accepts the harsh reality that the Roanoke family will never be as innocent and desirable as what everyone else thinks. The message behind the Roanoke girls' growing madness made me realise how some people do struggle to accept the love they are given and feel that they deserve less than what they're offered when it comes to being happy. Lane goes through a number of gains and losses before she finds the answer to Allegra's disappearance and can start to heal from her past. This book breaks from the typical themes that most books show and I loved that even though the reality of this story was pretty out of the ordinary and scarily real for some people, it committed to being tender to the touch, a great thriller, and overall a gripping read that you all should pick up. I gave The Roanoke Girls a 5 out of 5 stars!